To manage your CBOX plugins, click on Manage all You CBOX Plugins Here. You should see a screen like the one below. Here you can activate or deactivate recommended and optional plugins, and manage their individual configuration settings. 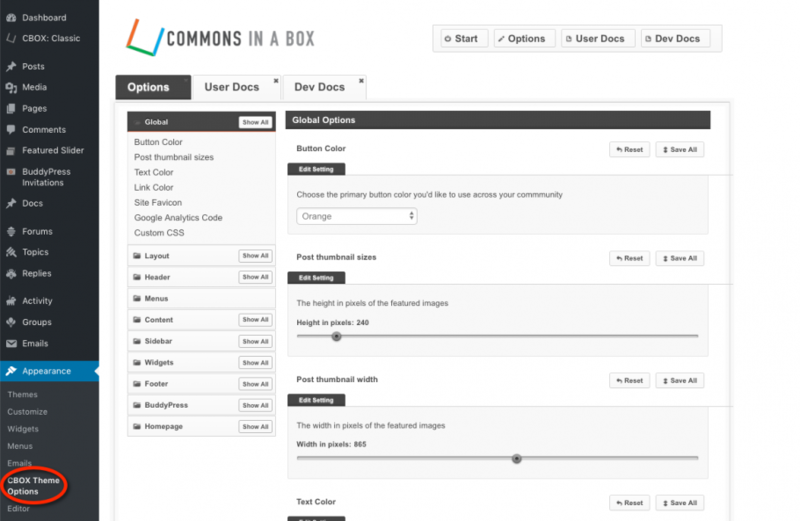 Alternatively, you can click on the Configure the Commons In A Box Theme Here hyperlink, described below. 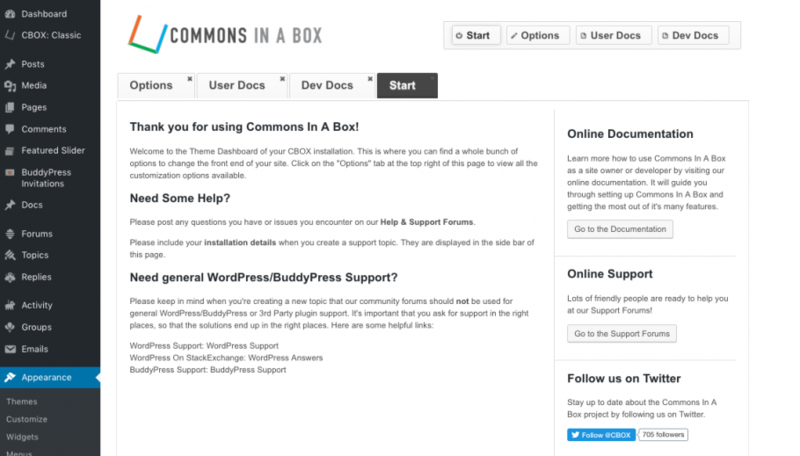 If you clicked on Configure the Commons In A Box Theme Here, you should see the screen below. Click on the Options tab to control theme options. The screenshot below shows just some of the configuration options that the theme offers. See Themes for more information about the Commons In A Box theme.